When traveling in a Sedan, Luxury Sedan, Mini-Van, SUV, Limousines or Vans,a mandatory gratuity of 20% will apply. Waiting time is based on the hourly rate for a particular vehicle and is charged at 15 minute increments. Waiting time charges may be incurred if a passenger arrives late to a pick-up. Time spent waiting at additional stops will also be charged as waiting time. Waiting time charges may apply after the complimentary waiting time expires on a round-trip. We do not charge waiting time attributed to delayed flights or luggage delivery for pick-ups at the airport. The fare quoted online does not include any additional stops made during your trip. Unless specifically discussed, when booking a reservation by phone, the fare quoted by an operator does not include additional stops. Additional stops are calculated by the distance deviated from the route between the original pick-up and destination. You may obtain an exact quote for additional stops, in advance, by speaking with a phone reservationist at 305.702.8266. When booking a reservation from the airport parking fees will be added to the fare. The airport parking fee is based upon the parking rate of the Port Authority. A fee may be charged to your credit card for any trip not cancelled within the allotted time. In order to avoid cancelation fees, customers must notify a customer service representative of a cancelation at least 24 hours in advance Cancellations are accepted by emailinfo@nullmiamiuniquelimo.com and by phone at 305.702.8266. If MIAMI UNIQUE LIMO is unable to contact the passenger or related contact person after 15 minutes of the scheduled pick-up time, by means of the information provided on the reservation, then the ride will be considered a no-show and will be abandoned. Not being at your pick-up location without notifying MIAMI UNIQUE LIMO Service may result in a no- show charge. 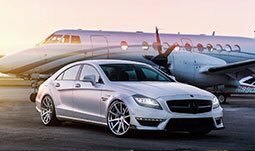 MIAMI UNIQUE LIMO Service requires that all changes be received by phone, email or through our website at least 3 hours prior to pick-up. If a change made less than three hours prior to pick-up cannot be accommodated, the resulting cancellation may cause a full or partial charge to the customer. When paying by credit card, you must supply the credit card number in advance for pre-approval. This is only for pre-approval purposes and does not constitute payment for the trip. Upon reserving with a credit or debit card, a preliminary hold equivalent to 150% of the quoted fare is placed on the card to secure the anticipated total including tolls, gratuity, additional stops, and waiting time. This hold is released when payment is processed approximately 3-5 business days after the trip. The credit card must be completed and signed at the end of the trip. During the trip passengers may not leave the vehicle, for any purpose, without first signing the uncompleted credit card slip. Should the passenger fail to return to the vehicle, the full fare will be charged to the card. 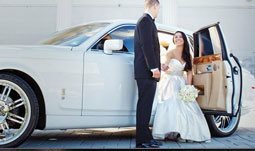 MIAMI UNIQUE LIMO does not accept online-only, virtual credit cards or any other type of “single-use” card number security product or one-time use credit card number that may be provided by credit card companies for online use. MIAMI UNIQUE LIMO shall not assume responsibility or liability in connection with the use of on-line only, virtual credit cards or any other type of “single-use” card number security product or one-time use credit card number that may be provided by credit card companies for online transactions. MIAMI UNIQUE LIMOService shall have no obligation to honor transactions made with such cards. 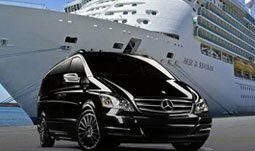 IQUE LIMO utilizes, at its discretion, affiliates to provide Limousine and Ground Transportation services as requested by our clients. Vehicle Images presented on the MIAMI UNIQUE LIMO Websites may differ from the actual vehicle. MIAMI UNIQUE LIMO and its Affiliates are not responsible for lost or damaged items left in the vehicles. We make every effort to locate property that has been left in one of our vehicles. We retain found items for 30 days. If you have left a personal item in one of our vehicles and wish to retrieve it, you can report it in our Lost & Found form or you may also call our office at 305.702.8266 for our customer service department. MIAMI UNIQUE LIMO reserves the right to charge a delivery fee for returning found items. These fees are based on the full travel rates. Any animal over 25 lbs. must ride in a minivan or van, with the exception of service dogs. All animals must be leashed or in a carrier when traveling in a MIAMI UNIQUE LIMO affiliated vehicle. We request that when traveling with a pet, you notify a reservationist in advance so that MIAMI UNIQUE LIMO can accommodate you. If you fail to notify a reservationist that you are traveling with a pet, the driver reserves the right to refuse to transport the pet.